While walking from place to place can be cost-effective and may even be more convenient than driving in dense urban areas, unfortunately, pedestrians run the risk of being hit by drivers who may be less than sober, attentive or responsible when behind the wheel of their vehicles. Fact 1: The number of fatal pedestrian accidents has been increasing in recent years. 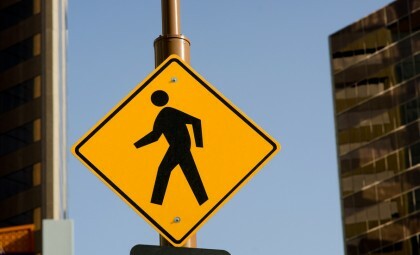 Pedestrian accidents have been increasing over the past few years, according to the NHTSA. Here are some more important facts about pedestrian accidents. Over the past few years, there has been an approximately 4 percent increase in the number of fatal pedestrian accidents that have occurred in the U.S., according to reports from the National Highway Traffic and Safety Administration (NHTSA). In fact, last year, more than 4,400 Americans died and more than 70,000 others were injured as a result of pedestrian accidents. Every 2 hours, someone in the U.S. dies in a pedestrian accident. Every 8 or so minutes, someone in the U.S. is injured in a pedestrian accident. Pedestrians are about 1.5 times more likely than the occupants of passenger vehicles to be killed in a car accident on each trip. Fact 2: Children are involved in nearly 16 percent of all pedestrian accidents. As the NHTSA reports, nearly 16 percent of all pedestrians who are hit by vehicles are children who are 14 years old or younger, and about 20 percent of all children between 5 and 9 years old who are killed in car accidents were pedestrians hit by cars. Although some of these pedestrian accidents involving children occur because these children run out into the roadway without looking for oncoming traffic first, in many cases, these accidents take place because drivers are distracted or are otherwise not paying attention to the roads (particularly around school zones). Fact 3: Alcohol impairment is often involved in pedestrian accidents. Alcohol impairment is involved in nearly half of all pedestrian accidents. 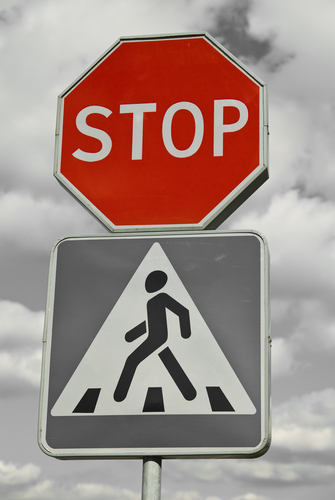 Check out some more fascinating facts about pedestrian accidents. Approximately 47 percent of fatal pedestrian accidents involved alcohol impairment, the National Highway Traffic Safety Administration (NHTSA) reports. While about 1 in every 3 of these cases involved pedestrians reportedly having blood alcohol concentrations (BACs) greater than 0.08 (the legal limit for driving), most of these cases involved the drivers being intoxicated. Have impaired reaction times when it comes to doing things like stepping on the brakes. Fact 4: Aside from intoxication, other forms of driver negligence are also often involved in causing pedestrian accidents. Tragically, most pedestrian accidents are caused by some type of driver negligence. This effectively means that, in most cases, the injuries or deaths of pedestrians could have been prevented if not for a driver’s negligent behaviors. Driver fatigue, which tends to be more common among truck drivers who are the roads for long driving shifts. Fact 5: Even if pedestrians may have contributed to the collision, they can still be entitled to compensation for their injuries and losses. While these facts about pedestrian accidents are interesting, for help getting compensation after these accidents, contact the Savage Law Firm. In some cases, the fault for causing a pedestrian accident is not caused entirely by one single party. In fact, both a driver (or multiple drivers) and a pedestrian may share the blame in causing the accident. It may be difficult for insurers or others to actually prove that pedestrians were to blame. Injured pedestrians may still have claims to compensation for their injuries and losses (though their compensation amount will likely be mitigated by the degree to which they are found to have been at fault for causing the accident). Fact 6: Injured pedestrians will have the best chances of obtaining the compensation they deserve by working with the Savage Law Firm. Injured pedestrians will have the best chances of securing the most possible compensation for their injuries and losses by working with the lawyers at the Savage Law Firm. Our trusted attorneys have more than 30 years’ experience doing whatever is necessary to help injured pedestrians obtain settlements and justice for their accidents and injuries. Have you or a loved one been injured in a pedestrian accident? If so, it’s time to contact the Portland pedestrian accident attorneys at the Savage Law Firm. Since 1977, our lawyers have been devoted to providing each of our clients with personal attention, respect and the highest quality legal services. Obtain the best possible outcomes to their cases – including the highest possible settlements for their injuries and losses. Helping you recover from the financial setbacks caused by pedestrian accidents is one of our primary goals. Our Portland pedestrian accident attorneys encourage you to learn more about your rights and case by setting up a free initial consult.